Six lucky weekly winners will take home up to $1,100 worth of cash & diamonds in the $50K Diamond Daze promotion. 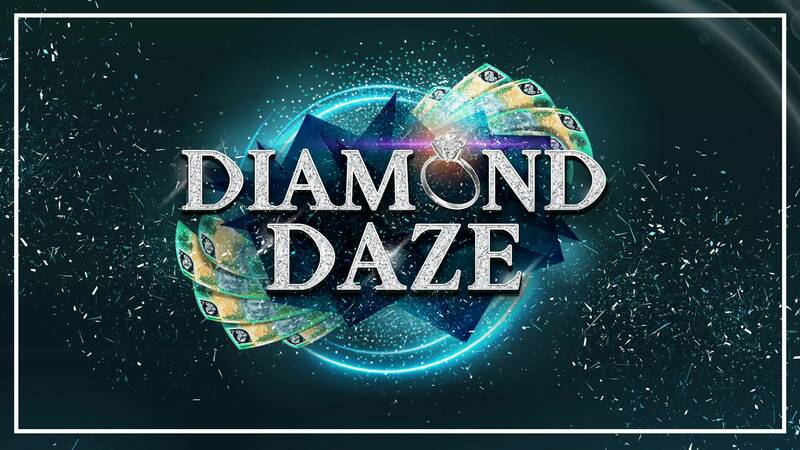 Every Thursday from 6.30pm, each winner will select five cards on the Diamond Daze gameboard to reveal their total combined cash prize. If they reveal three diamonds, they win a pair of diamond earrings valued at $500 thanks to Jade Jewellers! PLUS…every weekly winner receives an entry into the major draw on Thursday 21st March! One lucky member will win their choice of $5,000 cash or a diamond ring valued at $9,750 in the major draw. Plus, $2,000 in runner up prizes! Earn entries from 1st February with every $10 PLAY on the gaming machines or $5 SPEND on food, beverage or bingo. Terms and conditions apply. Members only promotion. Members can win a maximum of one (1) prize per week. Must be present to win. Gamble Responsibly.